2016, another new year – a fresh start for most of us. I know not many believes in jumpstarting their lives every new year that comes. Personally however, I do … especially when it comes to my old habits and skin care routine. I have a lot of things I want to do, but tend to hold off and procrastinate with – this year I am starting once again and hopefully be able to keep up. For those who keeps falling off the wagon (like me) don’t fret, hang in there and start all over again. Remember, it’s not over until you completely give up! 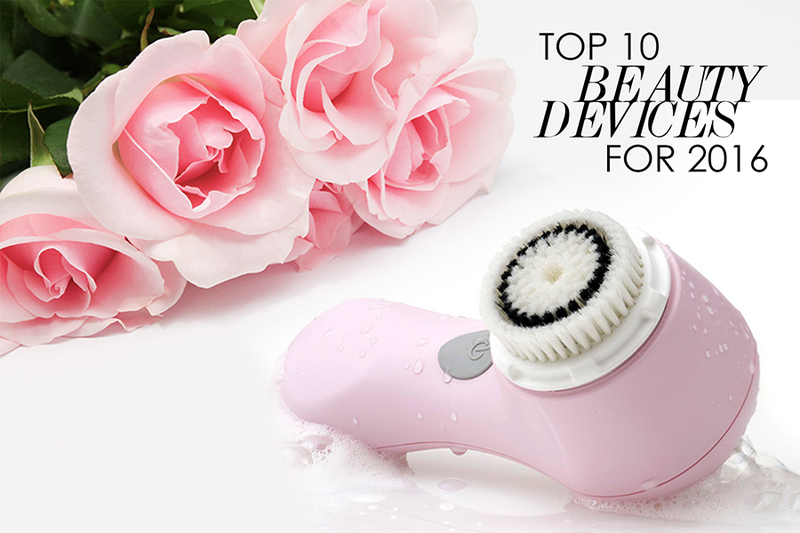 😉 I am sure some of you can relate and if you are one of them, I have rounded up my Top 10 Must-Have Skincare Devices that will speed-up your routine and help achieve professional results at the comforts of your own home. 1. CLARISONIC – unlike spinning devices, Clarisonic’s patented sonic cleansing technology works thoroughly with skin’s natural elasticity and oscillates at a sonic frequency that produces over 300 movements per second. Results have shown increased product absorption and gentle enough to be used twice a day but works twice as hard to loosen dirt and oil, removing deep-seated impurities than using hands alone. My personal perspective » The Clarisonic Mia 2 is everything I could expect it to be and more. By far, the best cleansing brush I have ever had and hands down for it’s accurate results. I tend to break out on my chin and have very oily T-zone but remain dry on my cheeks. Since using this device, my skin issues have slowly improved and noticed less up to no breakouts on my usual spots. Totally love that it can take all the gunk out even hard to remove makeup products such as waterproof / water-resistant ones. 2. FOREO – the LUNA is an award-winning flagship product with silicone bristles that channels pulsations in various intensity levels for facial cleansing and anti-aging. Its T-Sonic™ (transdermal sonic) pulsations delivers up to 8,000 pulses per minute that helps drive out dirt, oil and makeup residue which improves the absorption of skincare products. My personal perspective » One of the most significant difference between the Foreo Luna and the Clarisonic Mia 2 is that the former works on low frequencies that may prove to be very useful for stimulating dry skin and help people who suffers from rosacea or very inflamed acne who are not good candidates to use oscillating brushes to exfoliate. In general, these skin issues or conditions already have impaired skin function which may be made worse by any form of exfoliation. With Foreo you can guarantee a gentle cleanse without irritating the skin further. 3. PMD PERSONAL MICRODERM – the Personal Microderm is a revolutionary at-home skincare device/tool that combines the power of a perfectly calibrated vacuum suction and patented spinning disc technology to brighten, smooth, and remove the dead, dull skin cell barrier. It also reduces the appearance of fine lines and wrinkles, blemishes, as well as enlarged pores. After a treatment, makeup goes on smoother and skin care penetrates significantly deeper – 20X deeper. My personal perspective » This at home machine truly delivers salon quality microdermabrasion which exfoliates and polishes the surface of the skin removing dead skin cells for a fraction of the professional treatment that averages around $100-$200 per treatment. I have broken out one too many times around my chin and left me with dark spots and rough patches that literally left me feeling embarrassed like a dalmatian … using this device help me clear out those patches and smooth out the rest of my skin. 4. TRIA HAIR REMOVAL LASER 4X – the Tria Laser 4X is the first and only FDA-cleared laser hair removal available for home use that uses the same diode laser technology used by dermatologists. The Tria Laser 4X device targets and permanently disables hair follicles to stop hair growth on the face and body for permanent results. What the experts say » Individuals who would love to get the benefits of laser hair removal with the convenience, privacy and affordability of home use should purchase a Tria Laser. The other home devices offered for hair removal utilize a flash lamp rather than a laser, and only Tria is cleared by the FDA for permanent results. – Roy Geronemus, M.D. My personal perspective » Hair-free? That would be awesome. Pain-free, even better! I have had issues with having ingrown hair and even growing two in one pore … yikes! I know, I know TMI but it really does happen. Thankfully with the Tria laser hair removal I can finally say goodbye to those unwanted underarm hair. My treatments lasted way longer for me as I don’t use it as “often” as it is recommended given that I have a very low tolerance for pain. I am still in the market for a good topical numbing cream to take care of the rest of my hair, other than that this device is the best compare to spending around $250 to $500 per treatment in the bikini line or underarms. 5. NUFACE mini – the NuFACE Trinity is the first and only FDA-cleared, multi solution award-winning handheld device. It is designed with interchangeable treatment attachments, including the NuFACE Trinity Wrinkle Reducer and NuFACE Trinity ELE, allowing multiple skin therapies with one device. Their latest FDA-cleared innovation, the NuFACE mini features the same great microcurrent technology in a petite, portable travel-friendly size, perfect for on-the-go or beginners. My personal perspective » I always believe that prevention is better than cure. I am not getting any younger and I am starting to see the fine lines in my forehead as well as deep smile lines. Ever since using the NuFace mini these marks started toning down and with continued use I am sure it will diminish in due time. When it comes to the microcurrent it is very gentle that it doesn’t bother me in any way and in some ways, it actually feels rejuvenating. 6. DERMAFLASH – while men shave, women DERMAFLASH. As men grow terminal hair on their faces, which is coarse and thick women on the other hand grow vellus hair, which is baby fine. DERMAFLASH is designed exclusively for the sensitive skin on a woman’s face. Inspired by the popular medspa procedure called Dermaplaning, the DERMAFLASH Edge is a proprietary element exclusive to the DERMAFLASH system. It is safe and gentle on all skin types, and effectively improves skin tone and texture without causing irritation. My personal perspective » I never really thought that removing vellus hair could make so much of a difference most especially when it comes makeup application. I have very thin hair all over and never really considered dermaplaning. Once I did, it truly changed my perspective of things and my makeup literally look much more flawless and definitely less cakey. 7. JENU – typically only between 1% – 10% of skin care topicals (such as serums, ointments and moisturizers) are absorbed into the skin while the remaining product is wasted. The skin acts as an effective barrier leaving skin care formulas to simply sit on top of the skin’s surface where it’s most likely to wash off or evaporate. The JeNu PLUS Ultrasonic Infuser emits 365,000 pulses of ultrasonic energy per second to push more skin care product into skin for maximum absorption; increasing absorption by up to 75x. 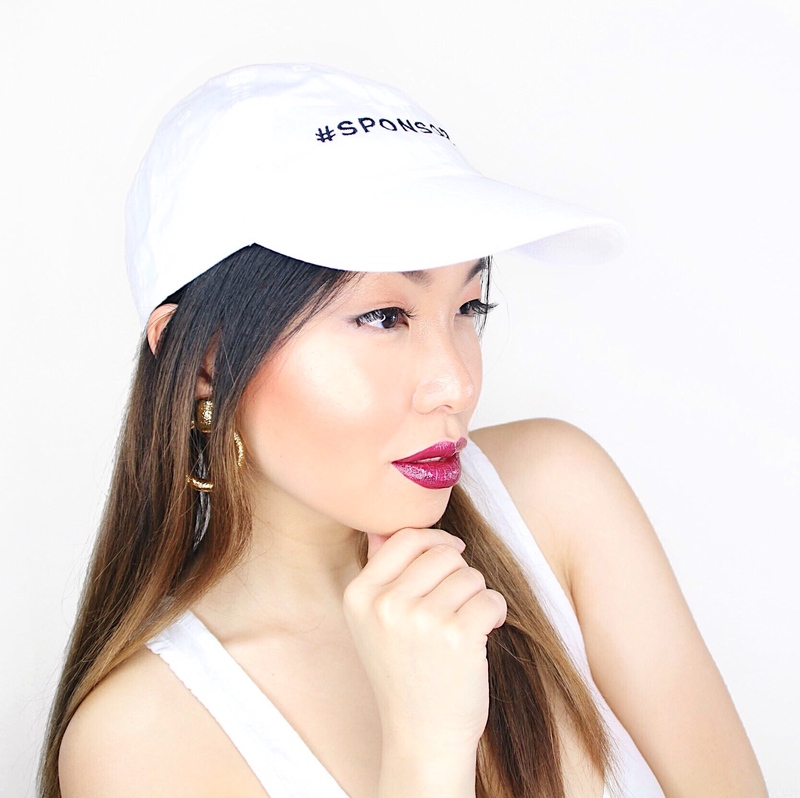 My personal perspective » I am madly in love with the fact that my skincare products, expensive serums and moisturizers are no longer going to waste. I’ve had thick creams that I applied during my night time routine that feels like it only stayed on top of my skin and washed right off without being absorbed or making a difference. With the help of Jenu’s ultrasound technology, every product is used to its maximum potential. 8. TRIA ACNE CLEARING BLUE LIGHT – achieve consistently clear, naturally radiant skin with Tria Blue Light. Get dermatologist results by quickly and effectively eliminating acne-causing bacteria deep beneath the skin’s surface to clear skin and help prevent future breakouts. Unlike traditional acne treatment with harsh ingredients that sit on the surface and irritate skin, Tria Blue Light is gentle, even for sensitive skin. It’s time to finally break the breakout cycle. having the ability to effectively and safely use the blue light device from Tria Beauty in the privacy of your own home avoids the expense and inconvenience of having to make frequent visits to the dermatologist’s office for treatment. This product is easy to use and gets terrific results. – Ronald G. Wheeland, M.D., F.A.C.P. My personal perspective » I have yet to personally try this device so I don’t have enough information to share for a thorough review. I know for a fact that the Tria Acne Clearing Blue Light is one of most sought after brand / device when it comes to clearing acne at home. Will update this post when I finally get the chance to review this device. 9. LIGHTSTIM for wrinkles – LightStim’s patented LED Light Therapy is the most effective and affordable device to restore skin’s youthful appearance as it stimulates the production of collagen and elastin. It is soothing, painless, and can be used on all skin types to reduce and eliminate fine lines and wrinkles, enhance collagen production, and restore your skin’s youthful appearance. My personal perspective » I have yet to personally try this device so I don’t have enough information to share for a thorough review. The Light Stim is highly sought out by everyone and recommended by professionals to diminish fine lines and wrinkles. Will update this post when I finally get the chance to review this device. 10. BLISS FAT GIRL SLIM LEAN MACHINE – the lean machine body contouring system is the first power tool in the Bliss fatgirlslim family that delivers a spa-it-yourself vacuum massager which uses a powerful combination of lifting, suction, rolling as well as pulsing motions to smooth and tone the skin, giving the legs, buttocks, and abs a more contoured look. My personal perspective » I have yet to personally try this device so I don’t have enough information to share for a thorough review. The Bliss Fatgirlslim is highly recommended to reduce the appearance of cellulite and tone as well firm areas of the skin. Will update this post when I finally get the chance to review this device. I had not heard of some of these devices before! I know my wife would love to have laser hair removal done instead of having to shave all the time. These all sound like great products!! I would love to be able to have laser hair removal what a time saver that would be. Great products! I have a couple of them I use every week! Love them! Wow, some of these look quite futuristic! I invested in a PMD a few years back and they have actually improved upon the system since. I just might upgrade mine this year. These are great products. My Daughter just started using a Clarisonic and her skin is loving it. I have never heard of LightStim before. I would love to try it. I am always looking for new products to try. I haven’t heard of any of these, but I sure could use the Clairisonic in my life. These devices look great. The hair removal laser would be really nice to have. I’d love to be able to try that out. these brushes totally work. since i have been using them my face has completely changed. a lot clearing with less blemishes. I need something like this! I am breaking out worse than I did when I was a teenager. I am going to check all these out! Great tips!! Thanks so much!! I have a Clarisonic that I love so much we bought our daughter-in-law one for Mother’s Day. I want all oh this! Lol! Particularly the Clarisonic. I’d love to have that fresh facial feel right at home. It’s time to focus a little more on my skincare. My routine hasn’t changed much since my teenaged years, but my skin certainly has! Love these beauty must-haves! I need to try the Flash device myself to see if I can stop waxing! I agree. I love my Clairsonic. I use mine everyday. I’ve seen the blue light but didn’t know if it really worked. I have heard a lot of great things about many of these! I want to check a few out! I have a Clarisonic, and I love it. It does wonders for my pores, and my skin is so much better looking. Great picks! What a great list of skin care devices. Some of these are calling my name and I will have to buy them now. These all sound like wonderful products! It looks like there is something for everyone in this list. This is a well researched and interesting read! It’s amazing the technological advances they’ve made in beauty equipment! I don’t have any of these hahaha. Great to know though. This is useful for those beauty conscious women. Each one sounds like a great product for the skin. I’ve been wanting to get a Clarisonic I’ve heard so many great reviews about it. I have heard great things about many of these devices. I have been thinking about making the investment into the FOREO LUNA. Some of these products are awesome! There are only a few i have heard of and am looking forward to looking into these! Thanks for sharing! 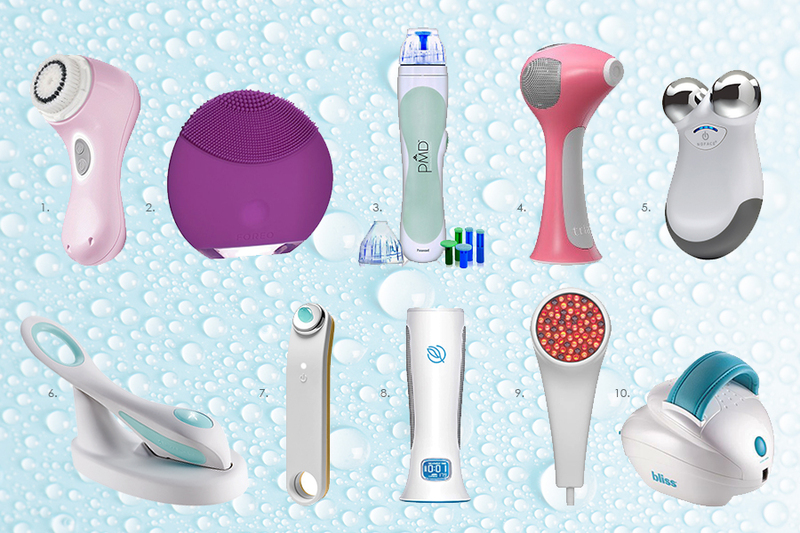 This is a great list of skin care devices. I have always wondered about the TRIA laser hair remover and I am really considering it even more after reading your list. There are so many options regarding skin care devices, you did a great job explaining each one. Since I’m a guy, I really don’t use these products, but my spouse definitely needs to pay attention here. Great post! Thank you for the list. I was just looking at a cleansing brush and it is definitely something that I need. I’ve definitely got to get a Clarisonic at some point. My facial skin needs exfoliation regularly as it’s dry and flaky if I don’t. I’m sure my wife would love all of these beauty devices. thank you! I’ve bought jenu at amazon and you’re right, it’s amazing! Want to fall in love with your skin again? Then Give the Clarisonic Mia 2 a Try!